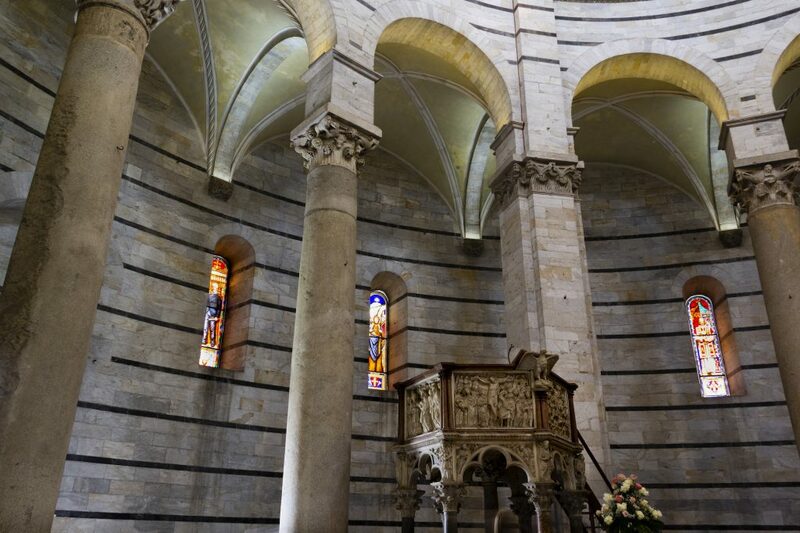 In 2018 the restoration of the stained glass windows of the Baptistery of Pisa was completed. The intervention was carried out by the Centro di Conservazione e Restauro La Venaria Reale of Turin, under the operative direction of the Istituto Superiore per la Conservazione e il Restauro of Rome. 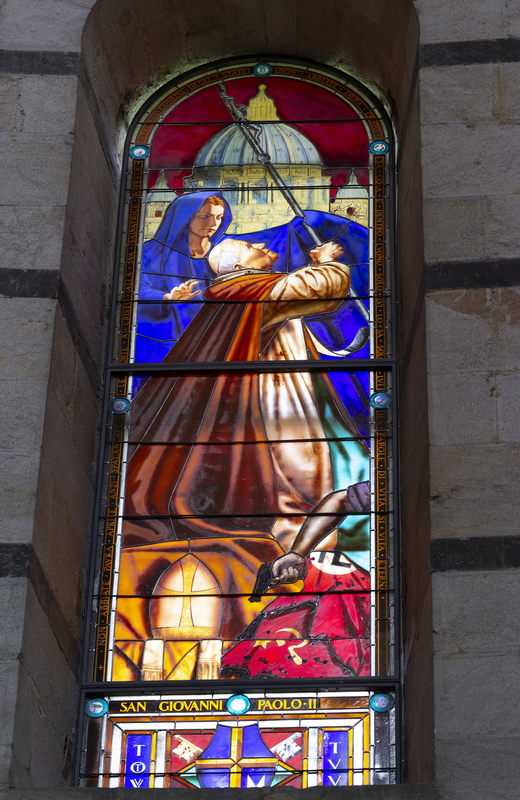 Four original stained glass windows were lost and for the realization of the four new works the Opera della Primaziale Pisana announced an international selection for tenders. It was attended by 57 artists who proposed their sketches representing the characters that S.E. the Archbishop of Pisa Mons. Giovanni Paolo Benotto had decided on in order to complete the figurative cycle: St. John Paul II and the Blessed Paul VI in memory of their Pastoral visits to Pisa; the Blessed Toniolo, a sociologist deeply linked to the Church of Pisa and San Ranieri, who had previously been depicted in a scene that was no longer recoverable and needed to be renewed. The Commission, chaired by S.E. Mons. Giovanni Paolo Benotto, was composed of Pierfrancesco Pacini, president of the Opera della Primaziale Pisana, Gisella Capponi, director of the Central Institute of Restoration of Rome, Marco Ciatti, director of the Opificio delle Pietre Dure of Florence, Andrea Muzzi, Superintendent of Pisa and Mauro Ciampa from Pisa Foundation, that co-financed the restoration and the new windows. After a long examination of the proposals, the commission indicated Francesco Mori as the winner, for the originality and strength of the characters represented, together with a particular harmony with the existing windows. Today the four windows are placed in the Baptistery.